To start off with the basics, the Garmin Astro is a handheld GPS unit that can be linked to a smaller unit dog belt and, in turn, track the current location of your dog. So, now it is time to take a look at the Garmin Astro and see what it really has got to offer under its hood. Who Needs the Garmin Astro? With the Garmin Astro GPS Dog Tracking System, you can track the activities of your dog to some extent. After attaching the transmitter to your dog, this device continuously updates the position of the dog at intervals of five seconds. 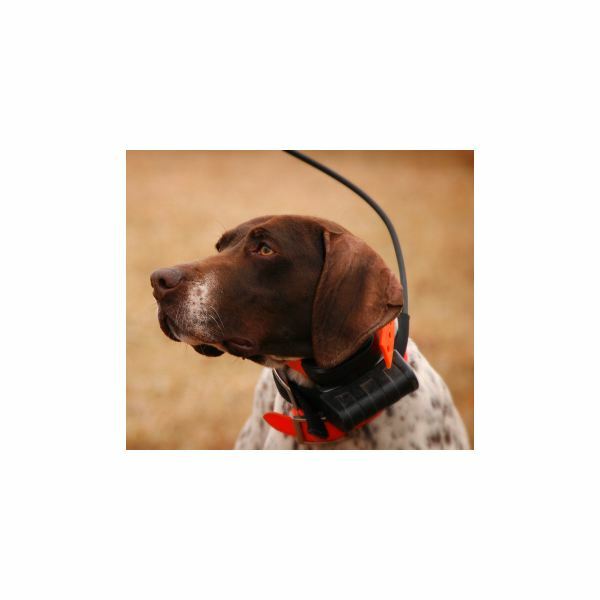 While the dog unit interacts with the handheld receiver unit via line of sight radio signals, it also communicates directly with GPS satellites for positioning. This device is the end result of a truly innovative technology. Sure, people have taken care of their dogs for thousands of years without this, and the Garmin Astro may not be so appealing to those who have the most well-behaved dogs. But, if you ever take your girlfriend’s dog out for a stroll, the Astro may come in handy when the dog suddenly disappears. With Astro linking to the dog, it is really a stress-less situation. The Astro also gives grousing alerts when the dog is on the point. This device is pretty good if you don’t know where the dog is and what it is doing. You have to listen to a beeping sound to know to start searching on the point. Astro would be a piece of magic if you really have a dog prone to bolting or one that’s a heavy runner. Of course, the Astro can track only up to a range of about five miles. It is also not very easy to load maps onto the Astro, but once you figure it out, it will be fine. What's more, you can track up to ten dogs at a time. So, even if you have an army of pet dogs, one Garmin Astro is good enough to take care of all of them. Of course, you'll need ten different tracking collar units, one for each dog! Despite all its good points, there are some negative things about the Garmin Astro which are rather disappointing to many of its customers. The Astro comes in only the orange color, which isn’t a universal color like black, gray, or white that is liked by all (or most). The rein, which comes with the unit, is not so convenient to use, although attaching it to the collar of the dog is quite effective. The antenna of the unit sticks onto the dog unit. In most of the cases, this may not bother the dogs, but it may bother some of the trainers, owners, and caretakers. The worst part of the story is that the Garmin Astro handheld unit will eat up AA batteries rather quickly. It badly lacks a much needed rechargeable feature. However, for those of you who are sick of searching for your hunting dog in the dense cover and tall grasses, the Astro is possibly the best solution. It is the first GPS enabled dock tracking system—great for sportsmen and hunters. 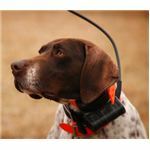 It comes with high sensitivity, and this unique system is capable of finding your dog and locating its whereabouts precisely even if the animal can’t be seen or heard. 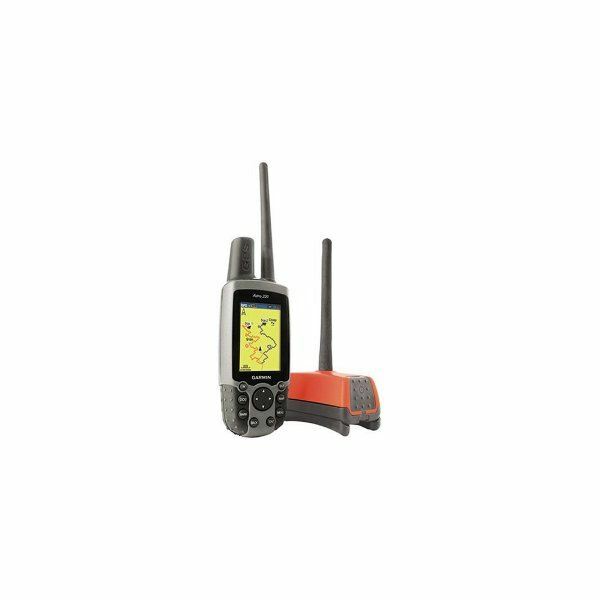 The collar of the Garmin Astro features a built-in GPS transmitter and is weighted in a special manner so that the antenna of the unit is always be pointed towards the sky for receiving optimum signals. 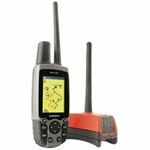 You can start off by taking the Garmin Astro outdoors and turning on the handheld device and transmitter in order to acquire the signals from the nearest GPS satellite. Recently, Garmin also introduced the DC 30 Collar, which can be used along with earlier versions of the Garmin Astro. So, after following the above mentioned procedure, you can attach the DC 30 collar to your dog and set the dog free. Nothing extra is needed, as every five seconds the DC 30 attached to your dog will transmit the position of the dog to your handheld device. You can observe the present location and his trail on the map page of your handheld device. Now, you may also switch to the dog tracker page from map page to get a view of a compass, which points to the location of your dog as well as its present status. The Garmin Astro is one of the best dog tracking devices considering the pricing as well as the performance. There's nothing terribly bad about the device except the fact that the handheld unit literally eats up the AA size batteries and doesn't allow you to use rechargeable ones. This GPS device is definitely worth your money if you always have a hard time chasing your dog.